For this project, S.E.A. Engineering's client was a Canadian consulting company which had a partnership with a large US subsea engineering firm. The partnership jointly owned a concept for extracting heavy oil cargoes from sunken vessels. We were contracted to manage a design team to bring the technology through the detail design stage. 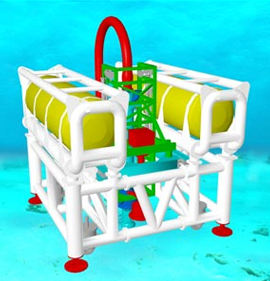 The system consists of a 60 ton (in air) subsea module connected by subsea hoses to barge-mounted oil/water separation equipment and an oil storage vessel. The subsea module contains the material based on the proprietary technology to penetrate the plating of a sunken wreck and extract the cargo to the surface vessels. Simon Fraser University's Department of Kinesiology installed a hypo/hyperbaric chamber system to do ergonomic studies at both altitude and ocean depth. The chamber system consists of a double-lock dry chamber and a wet pot. The environmental control system (ECS) controls temperature, humidity, and carbon dioxide level of air, nitrogen-oxygen or helium-oxygen atmospheres in the dry chamber, and the temperature particulate and bacteria levels of the water in the wet pot. The system is of the external type, i.e. all equipment is external to the chambers. The Canadian Armed Forces (CAF) had a requirement for a new underwater breathing apparatus to replace the CDBA (Clearance Diver's Breathing Apparatus). The CDBA was WWII British technology which the CAF wished to upgrade to state-of-the-art Canadian technology. The system was configured as a backpack with over-the-shoulder counter lungs. A unique feature of the system is that it mixes the diluent gas (nitrogen or helium) with oxygen in a ratio that is a function of depth. Thus, the diver is fed a relatively constant partial pressure of oxygen at all levels. This system was called the CUMA (Canadian Underwater Mine-Countermeasures Apparatus). Ed Smallhorn of S.E.A. Engineering was the project manager and design engineer for the project and responsible for all aspects of the work from proposal stage through design to construction and testing of advanced development models. This product was designed in response to an expressed need in a specific application area. A manufacturer of special purpose agricultural harvesting equipment had a need for a transmission to link a farm tractor power takeoff to a hydraulic motor in order to drive attached machinery. Existing transmissions did not have adequate robustness or horsepower ratings, nor were appropriate gear ratios available. The client's needs were analyzed, and the product was brought through the conceptual design and detail design phases. 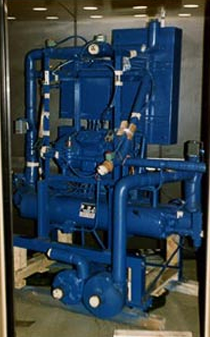 This design was based on a glycol heat transfer medium to avoid cost, freeze-up, and environmental problems. The system consisted of heat transfer coils in each of six tanks, two boilers, two pumps, distribution piping, control valving, and a control panel based on digital temperature control technology. The system maintains cargo temperatures at 110°F under all ambient conditions encountered in the North Atlantic or the North Sea. S.E.A. Engineering led a project to redesign a bottom-entry drive for a chemical mix tank for a manufacturer of medical dip molded products. 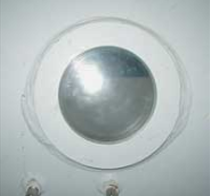 The original design had been performed by a company without the concept innovation skills, nor the precision machine design and fabrication capabilities required to produce a working solution. Careful attention to precision fits and tolerances, proper application of rolling contact bearings, and the design of a special seal arrangement were essential technology components. Our team applied these aspects to the problem to affect a solution for the client. Recently, we were contracted by a client to do all machine design, assembly, and testing work to produce six prototype "Bulb Eater" units starting from a concept. The Fluorescent Tube Disposal Unit is portable and designed to safely and conveniently crush spent fluorescent tubes of any length. Spent tubes are hand fed into the loading port of the unit. Tubes fed by gravity into a sealed reduction chamber whereby they are broken into fragments by a rotating blade. The mulched glass fragments funnel from the reduction chamber into a vacuum cleaner type bag. Any dust and hazardous vapor are drawn through a vacuum motor and exhausted from the machine through a filter system at the base of the unit. 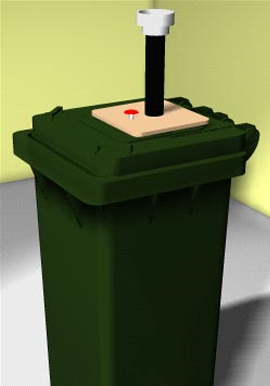 The safety features of the unit prevent the bag or filter from over filling and maintain a clean environment for the operator. The unit was designed to meet CSA certification. S.E.A. 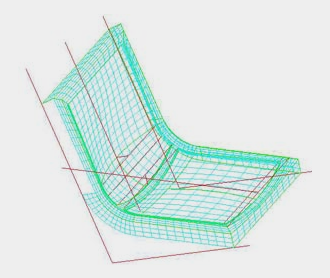 Engineering completed a proposal to a fiber reinforced composites company for a mold for high volume production of a public transit train seat. The proposal was in support of the client's efforts to bid on a project with a larger manufacturer of mass transit vehicles. The work involved sourcing and negotiating with specialized FRP mold manufacturers and consultants. The production of 3-D drawings of both the mold and the finished product were in support of proposal activities.